In 1966 at her kitchen table, a young Glaswegian started a business that went on to become one of the most enduring and successful British fashion brands of the twentieth century. Despite having no training in fashion or design, Marion Donaldson (1944 - ) was just married and 22 years old, when with £50 capital, she launched her eponymous fashion label. It quickly became popular - early designs for sale at Glasgow boutique, In Gear, sold out so quickly she resorted to sending sketches for the boutique owner to pin to his walls to allow clients to order, while she and her husband, David, cut and stitched frantically to meet demand. Working initially from their flat, Donaldson soon turned the manufacturing over to a factory and focused her time and attention on the Marion Donaldson aesthetic; flamboyant, modern, bright and very swinging. Indeed, the Marion Donaldson brand has been credited with bringing ‘Swinging London’ to Glasgow, and she herself is sometimes referred to as ‘the Scottish Barbara Hulanicki’. The brand continued to grow at juggernaut rate - by 1970, from an initial £50 capital the Marion Donaldson brand was turning over £300 000, and by 1979 the annual turnover had hit £1million. Despite, or perhaps because of this stratospheric rise to the top of the British rag trade, the Donaldsons were never tempted to run their own retail operation, choosing instead to sell their designs through third party retailers. 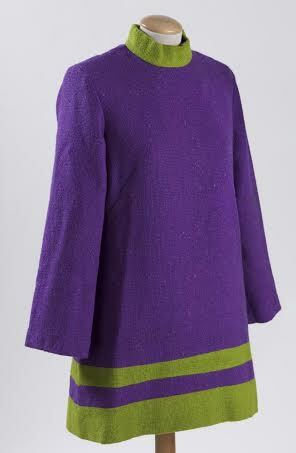 People are always surprised to learn this, as Marion Donaldson has said: ‘I think because the fashion boutiques in Glasgow sold so many of our clothes, people thought that we had our own shop.’ This is particularly interesting, considering that similar businesses, Barbara Hulanicki’s Biba and Laura Ashley had found enormous commercial rewards in retail in the period. The brand weathered two recessions, a monumental fire, and the usual entrepreneurial ups and downs over thirty three years, finally closing on Marion and David’s retirement in 1999. 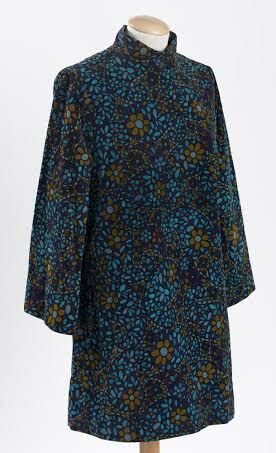 I first became familiar with the Donaldson brand when my MLitt Dress and Textile Histories class mounted a Donaldson dress at The Burrell Collection in 2012. 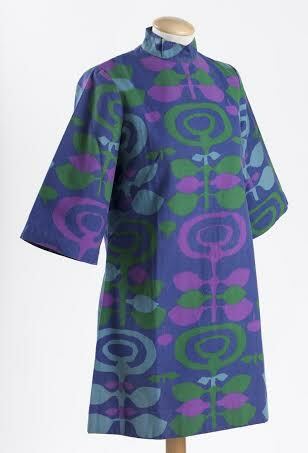 I was intrigued by the flamboyant design, and the fact its designer was a Glaswegian (like myself), who had enjoyed a critically and commercially successful career. I couldn’t understand why the label wasn’t better known, and when I began researching further I became determined that she should be recognised and respected as much as her peers are. My research has finally paid off, as I found out recently that I’ve been awarded ESRC funding to start my PhD, Marion Donaldson: female entrepreneurship and the fashion industry in post-war Glasgow, at the University of Glasgow this September. I am obviously thrilled, and I hope that over the next few years I’ll be able to bring the fascinating Marion Donaldson story to a wider audience!